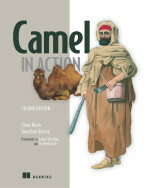 I just wanted to share a little status update on where we are with the Camel in Action 2nd edition book. We recently completed the last round of reviews from a selected group of readers whom have provided anonymous feedback on the material. Based on their feedback we were able to do some changes to the material before we handed it over to pre-production. One point we knew and also have gather feedback about is the length of the book. For example the last MEAP release has staggering 996 pages in the PDF file. We have identified up till about 100 pages that was the weakest content in the book, which we would then cut out from the final book. Out of those 100 pages we will made available the last two chapters as online bonus chapters, freely available for download. The IoT and Reactive chapters felt a bit out of place accordingly to reviewers. Don't despair these bonus chapters will go under the same scrutiny as all the other chapters to ensure the same high quality level you would expect from a Manning book. At this point all the chapters are in pre-production phase, where they are undergoing technical review, proofing, etc. As part of the pre-production phase, we will do the cut and any final post cleanup changes before the material is final and the book is handed over to type setting. The dead-line for the pre-production is end of July, which means that the book will go into type setting afterwards and then getting much closer to be done. While the chapters are in type setting we will work on what is called the front matter, which is essentially all the other stuff. And when that work is complete, then we can sit back and just wait until the book is printed and we have it in out hands.